When I redesigned the About Us page for Bass Pro Shops, the requirements were easy: update the copy (provided) and add more pictures. 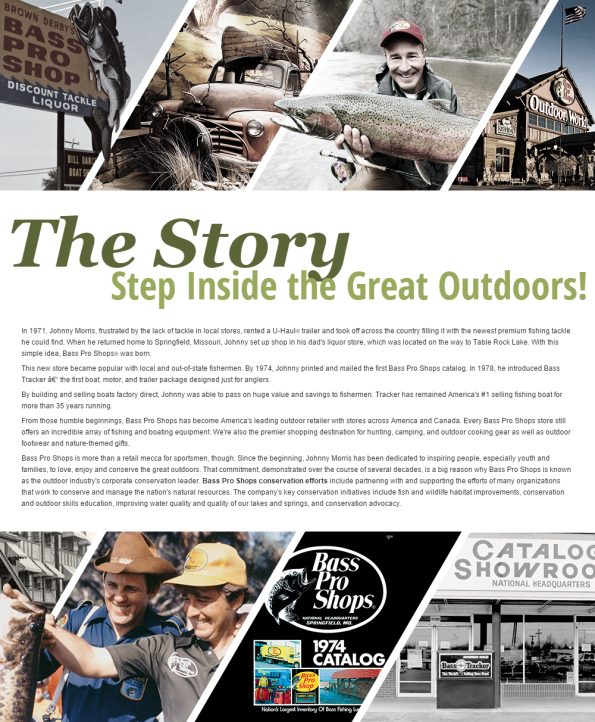 Probably the easiest project I ever did for Bass Pro! At the time, we were opening the store at the Memphis Pyramid in Memphis, Tennessee so angles and triangles were big with upper management; I of course used this to my advantage. That top image would have been fun to rearrange in a responsive design, but that was not part of the strategy. I’m sure someone will have fun with that in the future!